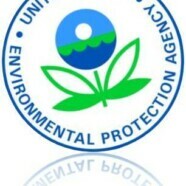 Washington County receives $600,000 Brownfield Coalition grant | Vandewalle & Associates, Inc.
EPA BROWNFIELD GRANTS 2017. Washington County has been awarded a $600,000 Environmental Protection Agency Brownfield Coalition grant for 2017, a highly competitive category. Vandewalle & Associates worked with Stantec and Washington County to write the successful grant application. Vandewalle & Associates has done work for for nearly all communities in the County, including the growing community of West Bend.